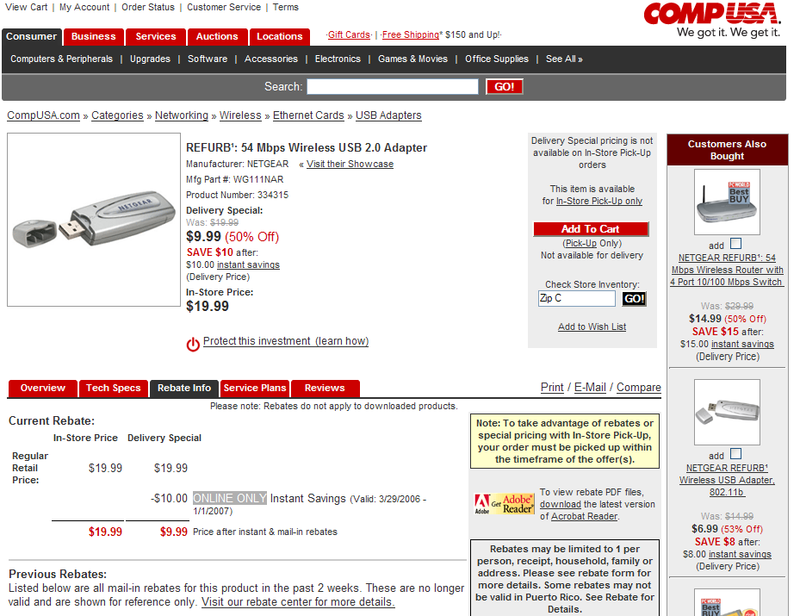 Check out this ad on CompUSA.com for a 54 Mbps Wireless USB 2.0 Adapter at a Delivery Special price of $9.99. Only one problem. Over on the right "Delivery Special pricing is not available on In-Store Pick-Up orders" followed by "This item is available for In-Store Pick-Up only". Further down the page it says "ONLINE ONLY Instant Savings". Doesn't anyone check these things?